Sure, SMS marketing can help you exponentially grow your business. That’s a pretty obvious benefit, and one that we’ve hopefully made pretty clear. 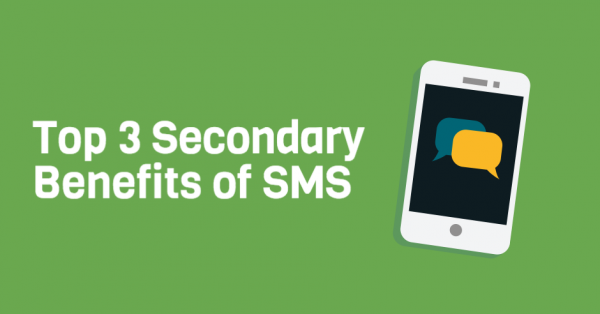 Beyond extreme small business growth, what are some not so obvious, but still pretty cool benefits of SMS marketing? 1. It helps you organize customer/client communication. If you run a successful small business, chances are you don’t have much free time on your hands. That’s expected, but definitely not ideal. Instead of running around like a chicken with your head cut off, organize customer communication with an SMS marketing account. Let’s say you own a personal training studio. You hold weekly group classes that can sometimes change, due to other commitments or the schedule of attendees. Instead of trying to individually fire out 20 text messages, send one SMS campaign to 20 subscribers. So much easier, right? 2. It opens the door to long term segmentation. Segment your list by age, location, textword, etc. Cultivate several different subgroups of extremely qualified subscribers, and then use this information to strengthen future marketing campaigns. The better you understand subscribers, the better customer experience you can provide. 3. If done correctly, this personal communication method greatly increases brand trust. This is one of the most personal communication methods, as you are sending marketing messages directly to a customer’s mobile device. This is a great responsibility, and shouldn’t be taken lightly. With that said, if you follow best practices, the personal nature of this method can help you enhance your brand reputation and easily increase trust. Although there are tons of other secondary benefits to this mobile communication tactic, these tend to be the most recognized and appreciated among all our users. Ready to join forces with the best online texting service, Slicktext.com? Give us a call today at 1.800.688.6290 to sign up for your free plan.